So far we have had a slow start to the salmon and summer sturgeon fishery, although we have caught some nice fish we are not catching as many fish as we would like to. As most of you know our team of guides are die hard anglers who take pride in catching lots of fish, the guys take it a bit personal when fishing gets like this. Chinook counts are way up this week and we have already seen the results with some nice fish being caught. 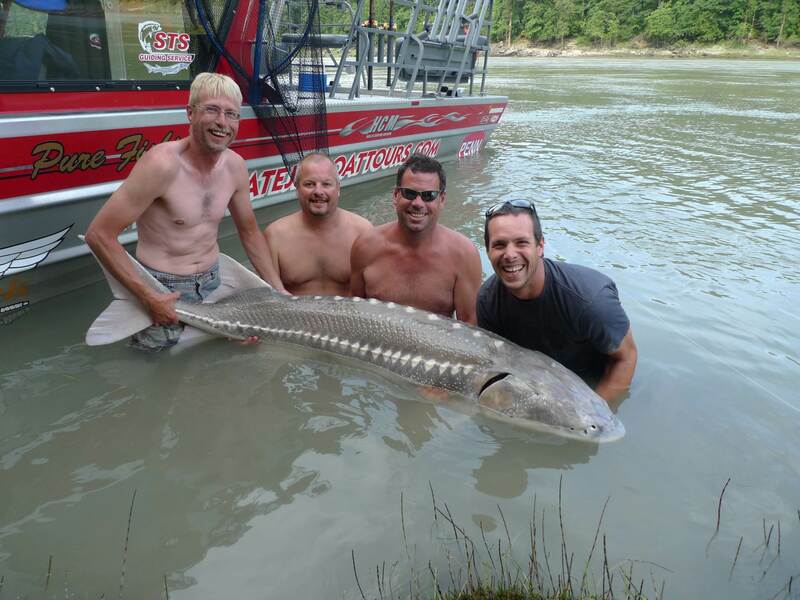 Sturgeon fishing remains slow but we are still getting fish on most all of our charters. Salmon Fishing has been very good this past week, lots of big Chinook as well as Coho, Snapper and Ling cod. Everyone has gone home with limits of fish and big smiles on their faces. 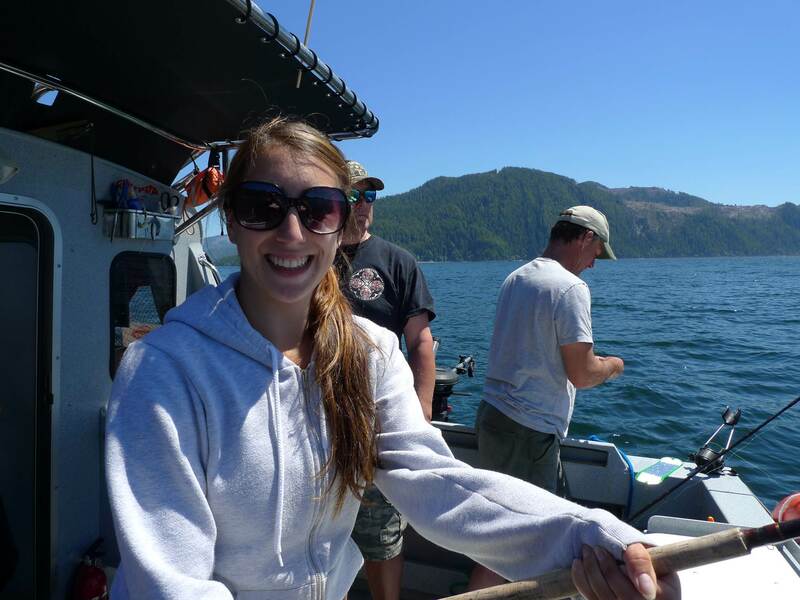 If you are looking for some of the best west coast salmon fishing, give us a call and we will hook you up. Salmon fishing around Vancouver has picked up this week, we had a charter out a few days ago that hooked 5 coho, nothing large but some nice fish. Quite a few Chinook are being taken out at the Bell Buoy as well as North Arm of the Fraser, This would be a good time to start targeting Fraser River bound Chinook. Fishing between the North and South arms would be a good bet. Salmon fishing has improve the last few days, we had two great days on Tuesday/Wednesday hooking into 4 Chinook each day and releasing quite a few sockeye. Water levels are dropping fast and water is clearing. Another week or two and the river should be good for bar fishing. As Chinook counts increase the fishing will improve greatly. The last couple weeks of August through to mid September should be good for Fraser River salmon fishing. Sturgeon fishing has been slow for our standards, 4 to 8 fish per trip is nit really that good for us even though most people are going home happy we are quite disapointed in the fishing. Right now you need to put a full day on the water if you are wanting good results. Half day charters are not producing enough fish so make sure you book the full day if you plan on going out with us. Yesterday most of our boats on full day charters were landing 4-6 fish, 1/2 day were 1 or 2. Best baits have been salmon roe, salmon bellies and stink bait. We are also getting a few on Lamprey eel. The Pitt has been fishing well this past week, some nice Bull Trout, Sockeye and the odd Chinook on both fly and spin. Water conditions are good but the mouth of the river has filled in with sand. At low tide it is very tricky to get in and out so if you are running your own boat in this area, be very careful. 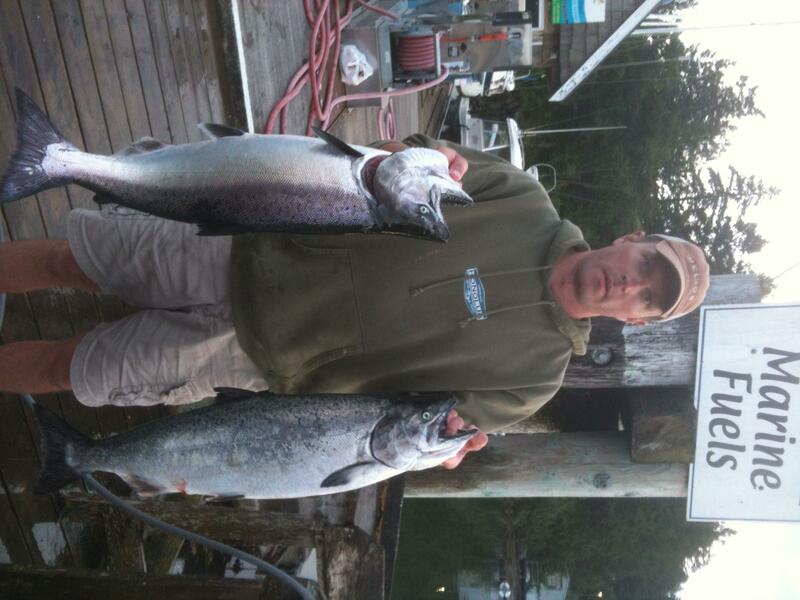 Fishing should continue to be good throughout August and we are looking forward to the Fall Coho Fishery. If your looking for a charter in the Vancouver/Fraser valley region, we are dialed into all local fisheries. We offer 8 jet boats on Fraser and other local rivers as well as Vancouver and West Coast Vancouver Island salmon fishing.